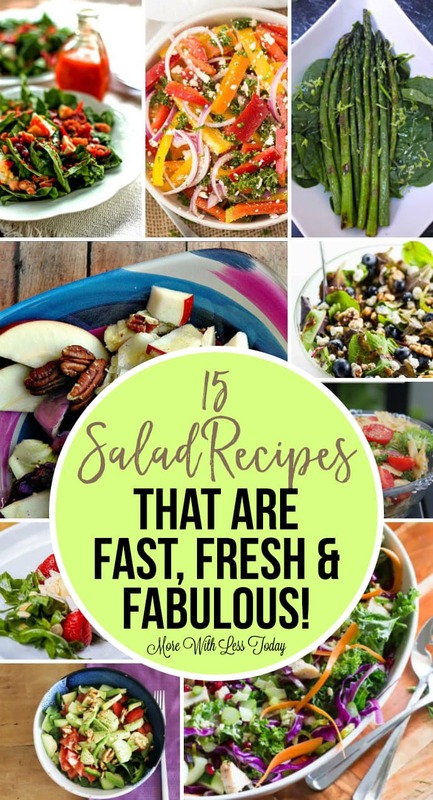 15 Salad Recipes That Are Fast, Fresh and Fabulous! 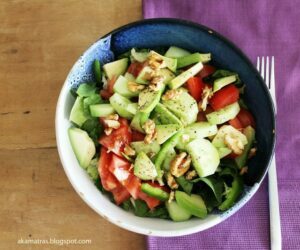 There is no doubt about the benefits of eating healthy salads. they are full of nutrient-rich vegetables, leafy greens, fiber and more. 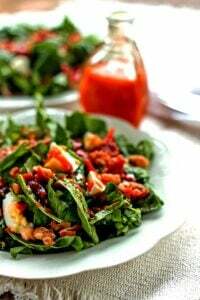 We are always on the hunt for new salad recipes that are as delicious and they are good for us. 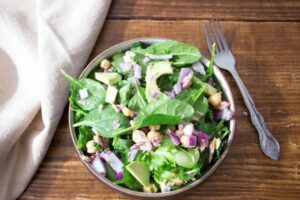 We’d like you to try these 15 Salad Recipes That Are Fast, Fresh and Fabulous and come back to tell us which one is your favorite! 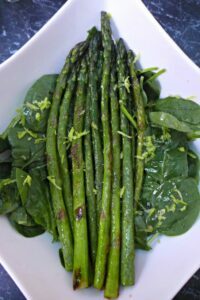 Asparagus and lemon are a great flavor combination. 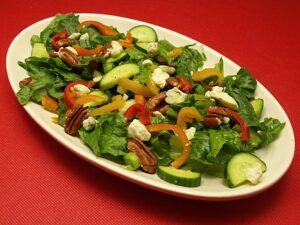 This salad makes a nice side dish for meat, fish, or chicken. Here are even more delicious asparagus recipes. 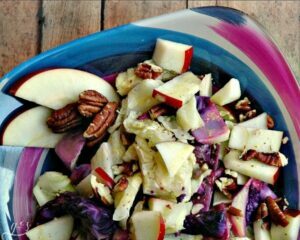 This cabbage salad is low in calories which is an added bonus! 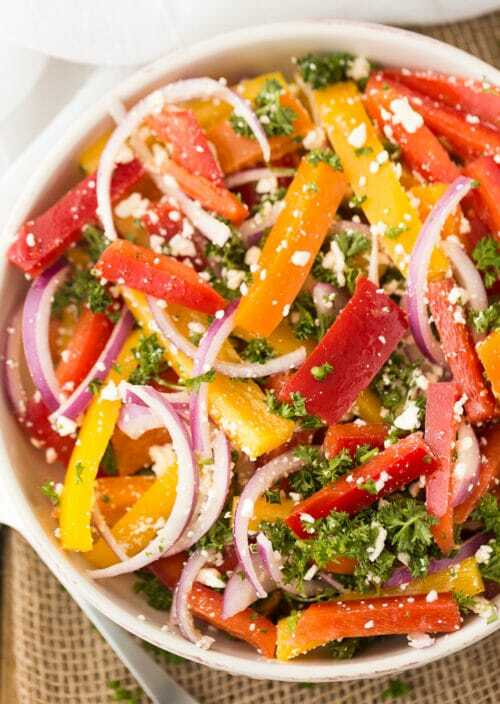 I love the colors in this flavorful salad. 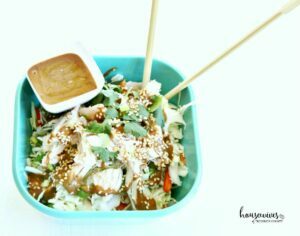 You can make this tasty Asian-style salad with rotisserie chicken. This Fresh Spinach Salad with bacon, hard-boiled eggs, and walnuts make the salad hearty enough to use as a meal. The sweet and tangy dressing will be a favorite. 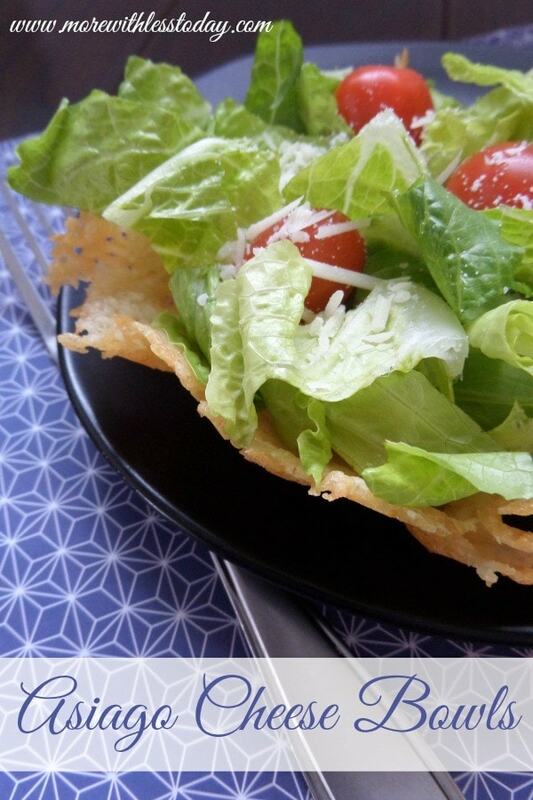 This salad recipe can be made ahead and it tastes even better the next day. 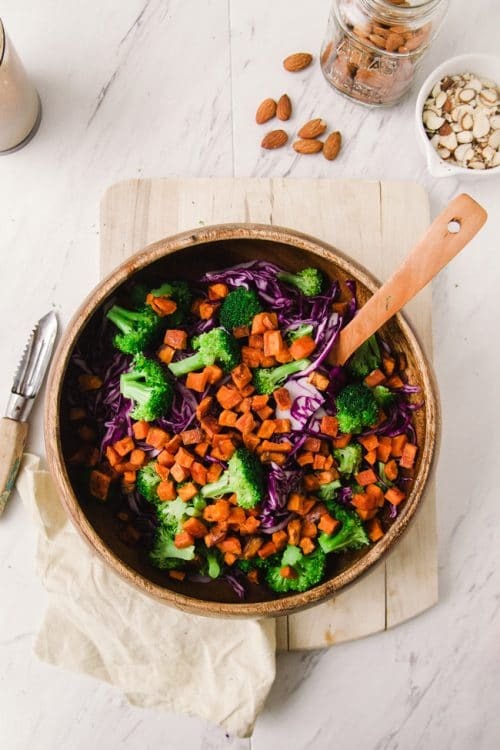 This paleo winter bowl recipe is topped with a creamy vegan almond dressing. Even non-paleo eaters will enjoy this one! This Three Pepper Salad recipe is the perfect side dish. The colorful peppers are also a feast for the eyes. 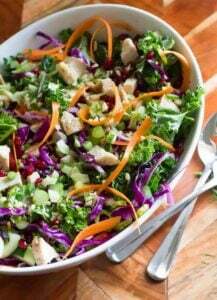 This Chopped Chicken Salad is full of seasonal fruits, vegetables, and chicken and is packed full of protein. 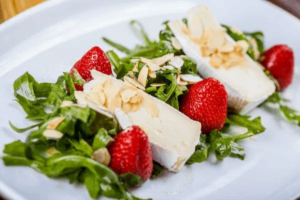 This Dandelion Salad with Balsamic Pepper Strawberries recipe as it reminds me of my grandmother. She used to make Dandelion Soup. 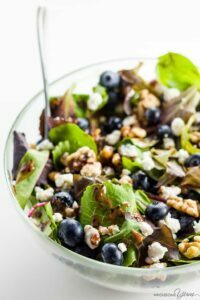 This easy spring salad recipe with blueberries, goat cheese, and walnuts comes with a blueberry vinaigrette dressing and takes only 5 minutes to make! I love to pack salads for lunch and picnics in mason jars. 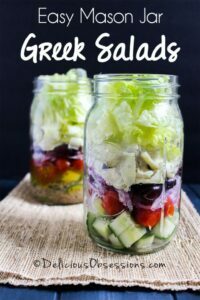 I can’t wait to try this Mason Jar Greek Salad! The cheese and pecans add protein and the veggies are packed with nutrition. 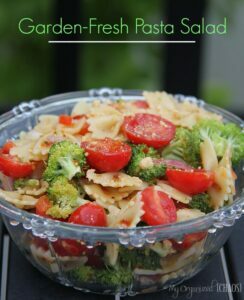 This is a delicious twist on a classic salad recipe. 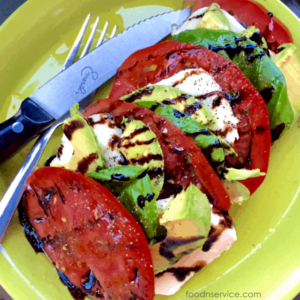 The avocado adds a yummy creaminess and hint of sweetness that really helps to bind the tartness of the tomato and the slight salt undertone of the fresh mozzarella. Canned tuna gives you a good dose of protein, as well as omega-3 fatty acids, and is low in fat, making them a great choice for a healthy salad. Even better, this salad is packed with fiber and protein. Do you have a favorite salad recipe to share?